Neartown - Montrose is friendly for those on foot, is very bikeable and has a few nearby public transportation options, according to Walk Score's rating system. So what does the low-end rent on a rental in Neartown - Montrose look like these days--and what might you get for the price? 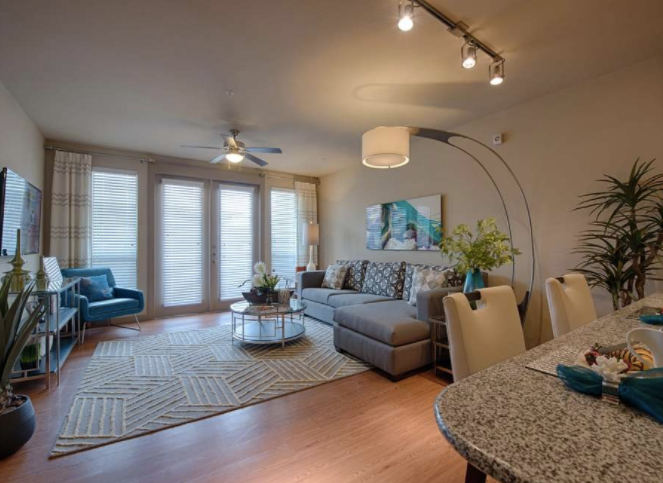 We took a look at local listings for studios and one-bedroom apartments in Neartown - Montrose via rental site Zumper to find out what price-conscious apartment seekers can expect to find in this Houston neighborhood. This one-bedroom, one-bathroom , situated at 4207 Mt Vernon St., is also listed for $795/month for its 630 square feet of space. In the unit, you're promised hardwood flooring, a walk-in closet, air conditioning, a ceiling fan and wooden cabinetry. When it comes to building amenities, expect on-site laundry. Pets are not welcome. The rental doesn't require a leasing fee. Then there's this with one bedroom and one bathroom at 1401 Kipling St., listed at $895/month. In the unit, expect a mix of hardwood floors and carpeting, a walk-in closet, a ceiling fan and wooden cabinetry. Building amenities include assigned parking, a swimming pool and on-site laundry. For those with furry friends in tow, know that cats and dogs are welcome on this property. There isn't a leasing fee associated with this rental. And here's a one-bedroom, one-bathroom at 2420 McDuffie St., which is going for $915/month. The building features assigned parking and on-site laundry. In the unit, look for both air conditioning and central heating, carpeting, a balcony, a dishwasher and a walk-in closet. Pet owners, take heed: cats and dogs are welcome. The rental doesn't require a leasing fee. Listed at $1,025/month, this 700-square-foot one-bedroom, one-bathroom apartment is located at 2301 W. Dallas St. The building offers assigned parking, a swimming pool, a roof deck, a fitness center, a business center, concierge service, outdoor space, an elevator and on-site laundry. In the unit, you're promised high ceilings, both air conditioning and central heating, a mix of hardwood floors and carpeting, a balcony and deck, a walk-in closet, in-unit laundry and a dishwasher. Pet owners, take heed: cats and dogs are permitted. To wrap things up, there's this 700-square-foot one-bedroom, one-bathroom apartment at 737 Stanford St. It's also being listed for $1,025/month. In the unit, you'll find both air conditioning and central heating, a mix of hardwood floors and carpeting, a balcony and deck, a dishwasher, a walk-in closet and in-unit laundry. When it comes to building amenities, expect assigned parking, a swimming pool, a roof deck, a fitness center, a business center, concierge service, outdoor space and on-site laundry. Both cats and dogs are welcome. Be prepared for a broker's fee equal to one month's rent.